One of the toughest things for small consulting firms is finding the time and the resources to build their business. You’re so busy serving your current clients that blocking out the hours needed to go after new ones seems overwhelming. And, on top of your busy schedule, you may not be sure what’s the best way to create a sales and marketing program that fits your budget. It’s all simpler (and less costly) than many people think. Start by understanding your own client base. Identify their size, revenue, location and industry. This will let you know where you have been successful and point you in the right direction to find new clients so you can repeat your success. Identify prospects that are similar to the ones that you have and look at the size of that market. If you only find a handful of prospects, then you have some great sales opportunities. If you find a few dozen, then use some straightforward marketing techniques to help you create strong leads. Look for suppliers or organizations that can support your marketing plans within your budget. 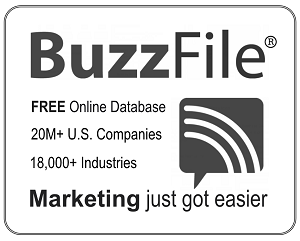 At Buzzfile, we’ve put together a step-by-step tutorial for small consulting firms that can walk you through these steps. Take a look and let us know what you think and what works for you.